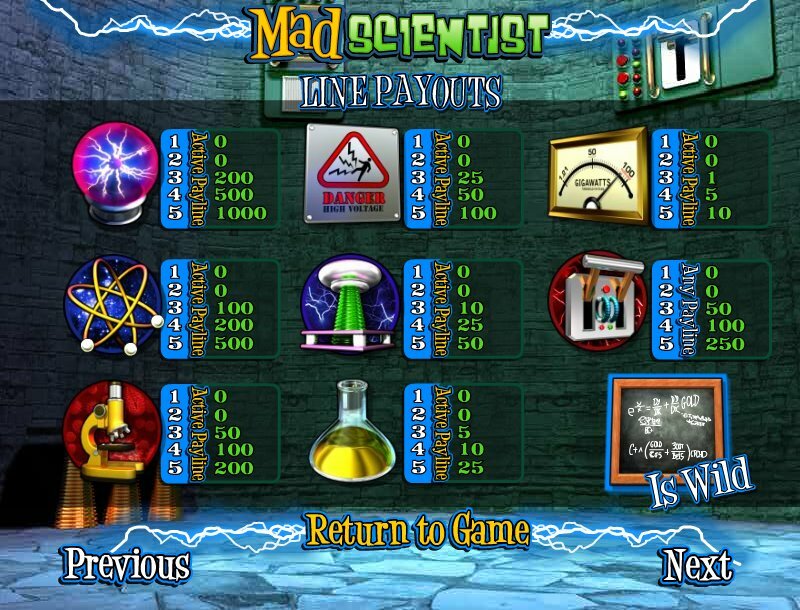 Overview: Scientific advances have always benefited human kind, but never like this! 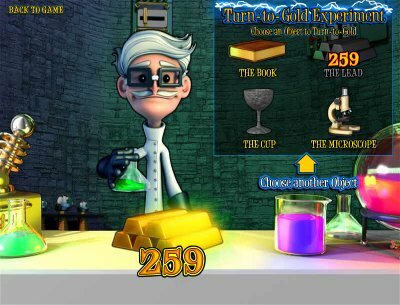 Dr. Walter Prescott has discovered a formula to convert inanimate objects into...GOLD! 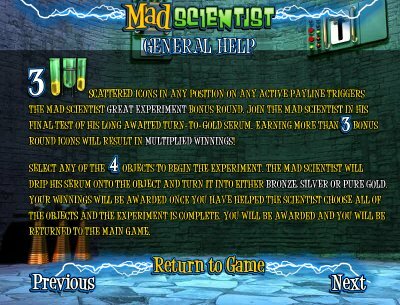 We don't quite know how, but all those countless days squirreled away in his laboratory have paid off in MAD SCIENTIST! 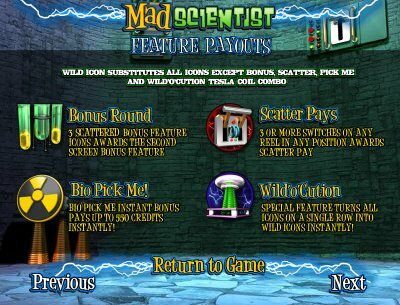 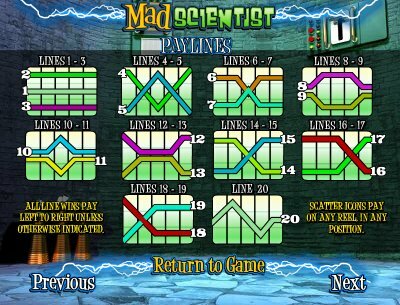 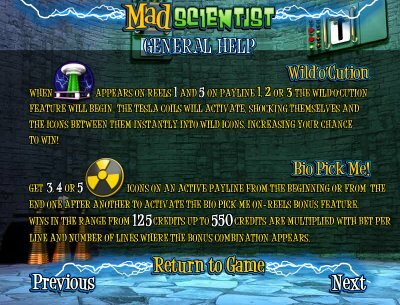 Similar Slots: If you like Mad Scientist, you might like these other BetSoft Gaming slots: At the Movies, House of Fun, It Came From... 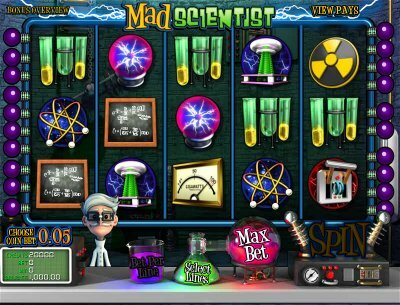 Venus!, Sugar Pop!, Under the Sea.